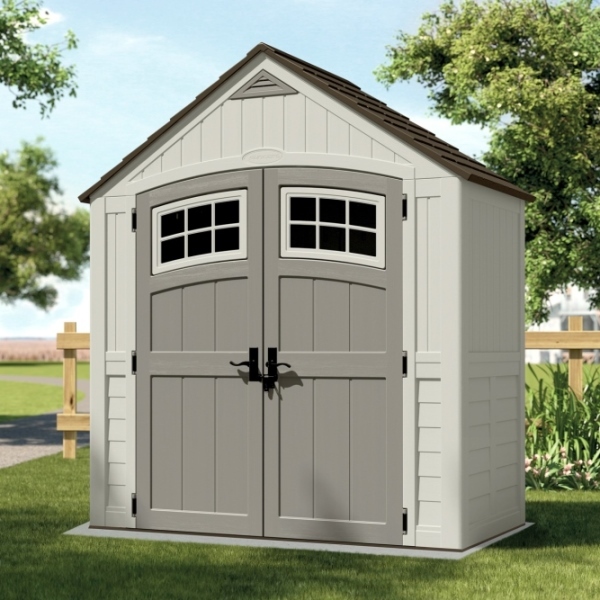 The Cascade 7ft x 4ft Double Door Apex Shed is designed for maximum durability and minimum maintenance. Suncast sheds are manufactured from double-walled, blow moulded resin with steel reinforcements to the roof and floor. The double doors provide excellent access to retrieve and store bulky items and are fitted with metal lockable door handles. This is an attractive compact shed that is easy to install and requires no maintenance other than the occasional clean.